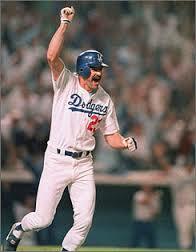 Twenty-Five years ago today (10/15/88), one of the greatest moments in World Series history occurred. That’s when in the town where movies stars roam, and the “Silver Screen” brings the impossible to life, a hobbled veteran ballplayer played the role of David in “David and Goliath” on baseballs’ biggest stage. 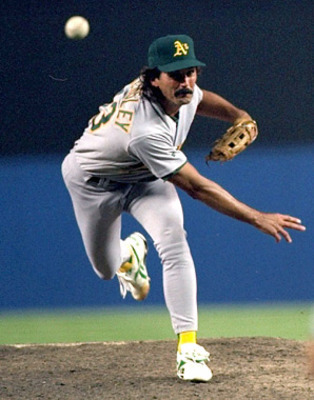 Kirk Gibson came off the bench, inched his way to the plate, and took A’s ace reliever Dennis Eckersley “yard,” winning game 1 of the 1988 World Series with his two- run homerun. 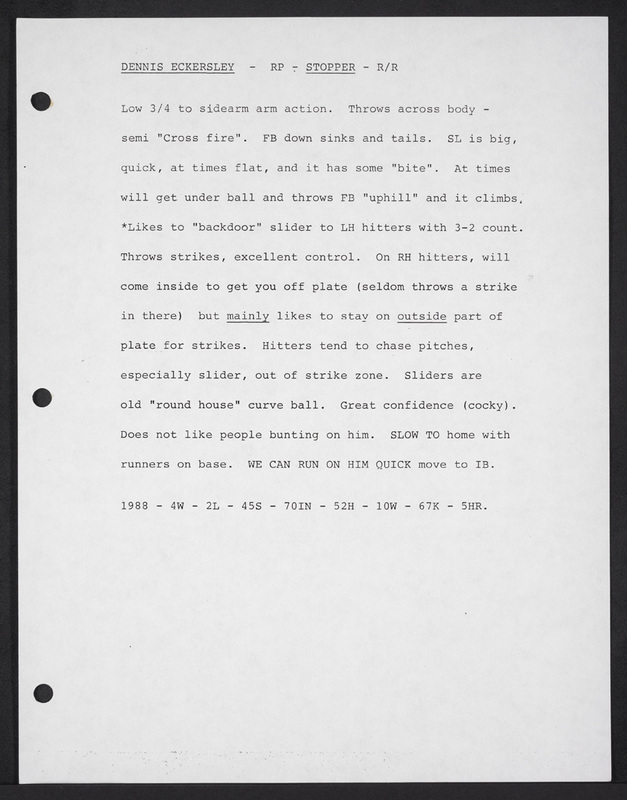 That’s exactly what Eckersley threw, Gibson used all arms and wrists, and won the game with one big swing, it would be his only at-bat of the 1988 Fall Classic, as the Dodgers won the Series 4 games to 1. 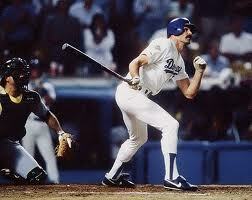 HRs: Oakland’s Jose Canseco (1), Dodgers’ Mickey Hatcher (1), Dodgers’ Kirk Gibson (1). 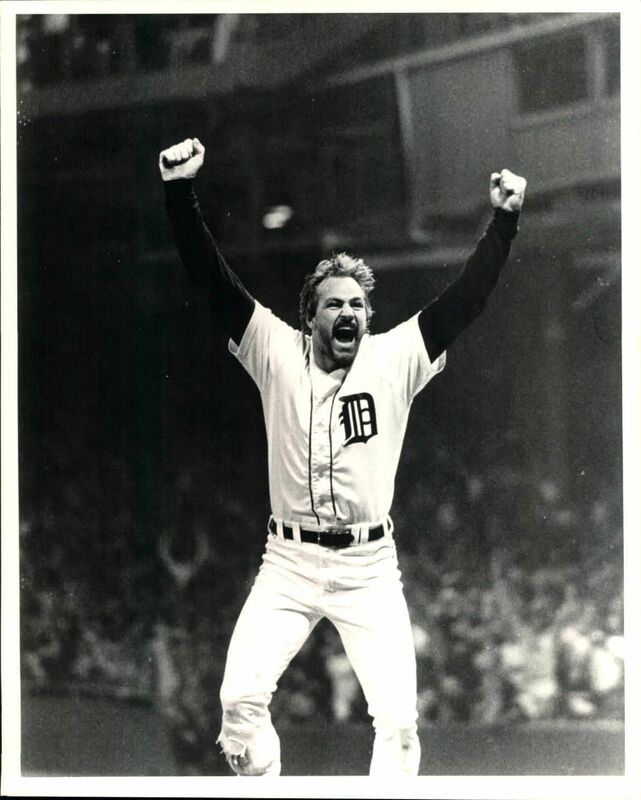 (Gibson’s HR in game 1 of the 1988 World Series was 4 years and one day from his last World Series HR (10/14/84) Game 5 of the Tigers vs Padres 1984 which came in the eighth inning and last at bat of that World Series). This entry was posted in Baseball, Detroit Tigers, MLB, sports and tagged Dennis Eckersly, Detroit Tigers, Kirk Gibson, L.A. Dodgers, Mel Didier, Oakland A's, World Series. Bookmark the permalink. I’m sure Kurt still has that bat but who owns the ball? $$$$$$$$$! I remember the game like it was yesterday especially him gimping his way around second base, talk about a clutch hit WOW.